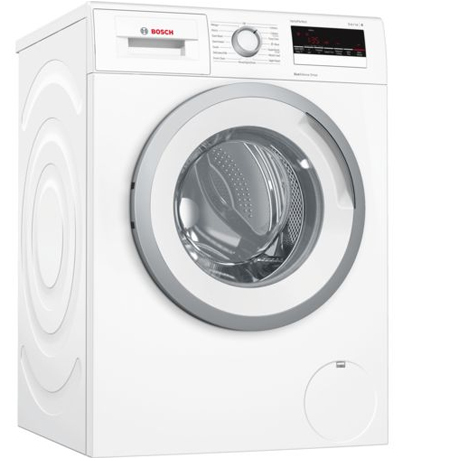 This Bosch Washing Machine boasts a high level combination of style, good looks and quality. 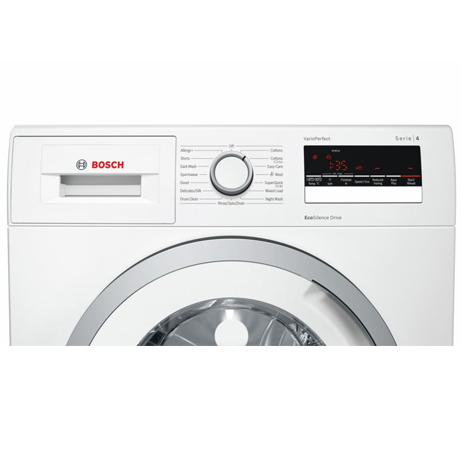 Proudly wearing one of the most recognisable brand names in the white good industry this Bosch washing machine comes with quality reassurance. 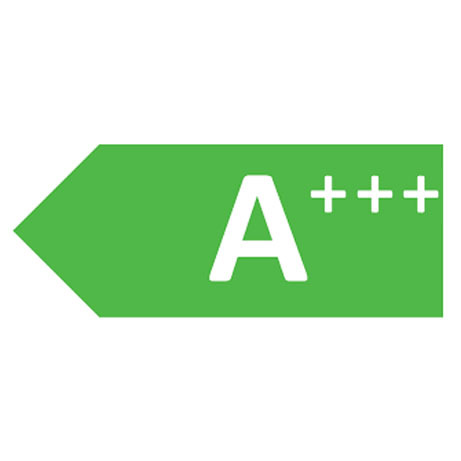 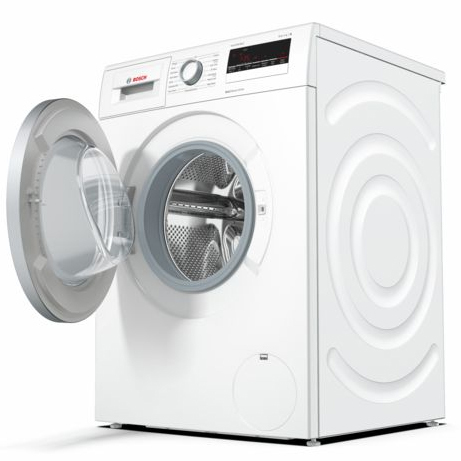 Boasting an outstanding A+++ energy rating and 8kg load, this Freestanding Washing Machine from Bosch has been updated to take the chore out of regular laundry and help you keep a green home. 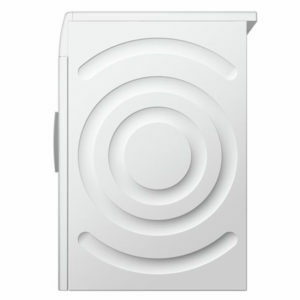 The design on the sides of the provides more stability and reduces vibration, while the enhanced insulation keeps noise levels to a minimum, even during the spin cycle. 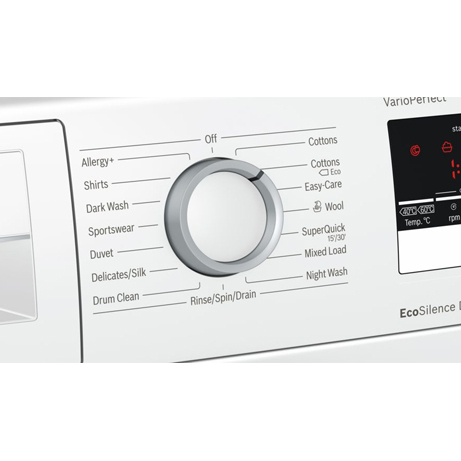 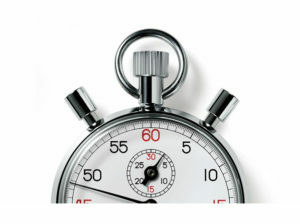 Quick wash cycle, can be shortened from 30 to 15 minutes by pushing the Speed button. 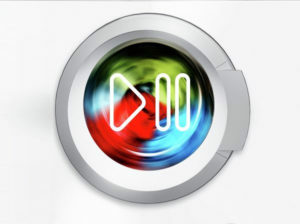 Quick 15‘ enables you to wash 2 kg of lightly soiled laundry in a record time of 15 minutes – including main wash, rinse and spin.